Announced during SPTO’s conference in Adelaide today, the main purpose of the MOU is to drive the growth of cruise tourism in the South Pacific in a manner that is both sustainable and brings economic and social benefits to the region. “It is very important to our member cruise lines that we support South Pacific nations to better understand the cruise industry and recognise the importance of sustainable cruise tourism in the region”, Mr Katz said. 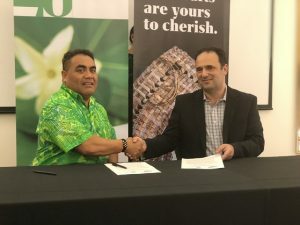 “Specifically, it will create a platform of sharing of information and insights to support the continued growth of cruise tourism in the Pacific”, Mr Cocker said.